During the late sixties it seemed as if most railroads were anxiously trying to redo their "image" with new color schemes and redesigned (usually ugly) heralds; witness Canadian National, Canadian Pacific, and Penn Central. Great Northern, not to be left behind, debuted its "Big Sky Blue" scheme for both passenger and freight rolling stock. Caboose no. 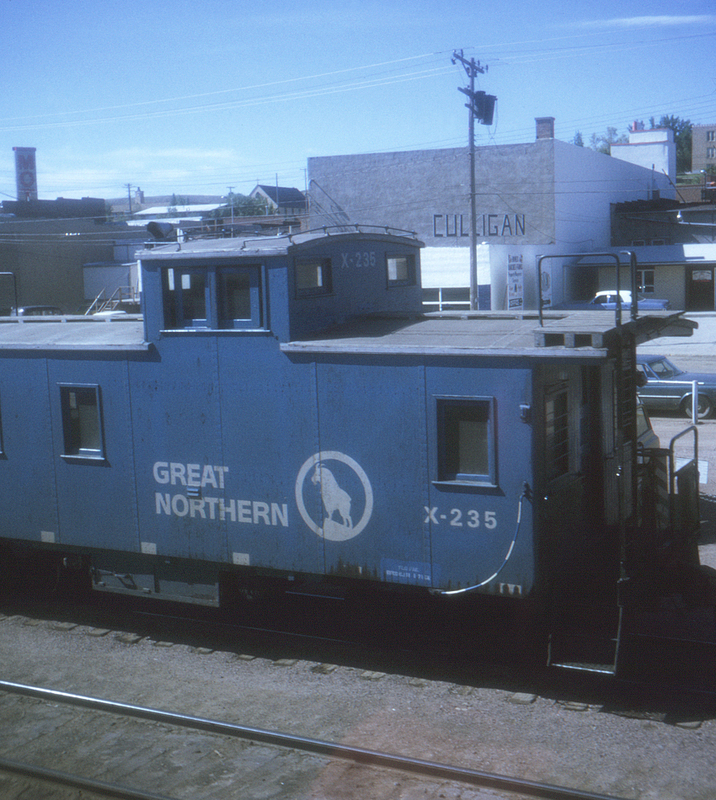 X-235, seen at Shelby, Montana, is a bit behind the curve, though, as Burlington Northern, created in March, 1970, is already busy implementing its own "Forest Green" and white scheme. Television watchers of a certain age seeing this slide will immediately recall a piercing shriek of "Hey, Culligan man!" made immortal by Jean Hughes Williams. In 1972 water treatments products company Culligan was still active, and is today, though with a considerably more demure presence.